The site, located directly adjacent to the City's existing historic cemetery, has many unique opportunities and challenges. 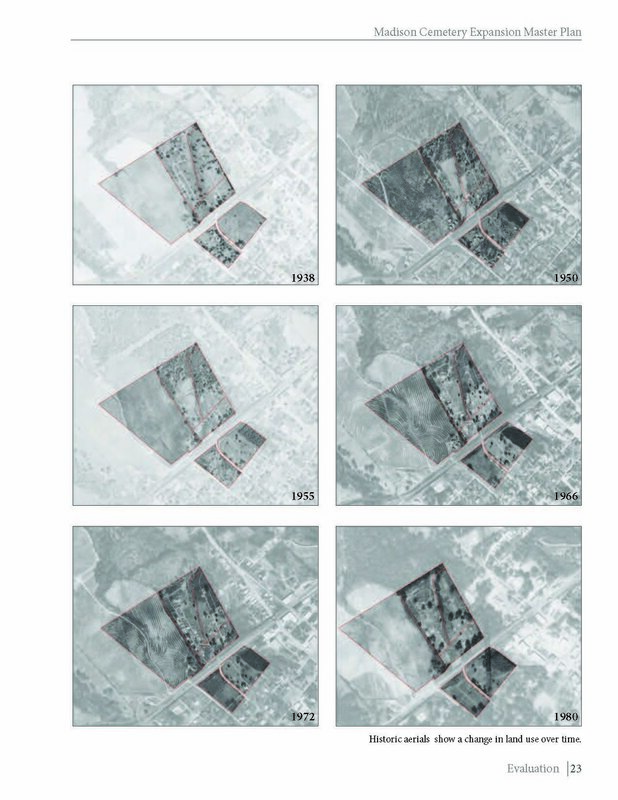 A primary catalyst for the development of a master plan for the expanded cemetery was to provide a holistic vision for the development of the entire property and its relationship to the greater Madison Historic Cemeteries, already in existence. The Madison Cemetery master plan marks the first expansion to the city cemetery system in nearly 60 years. 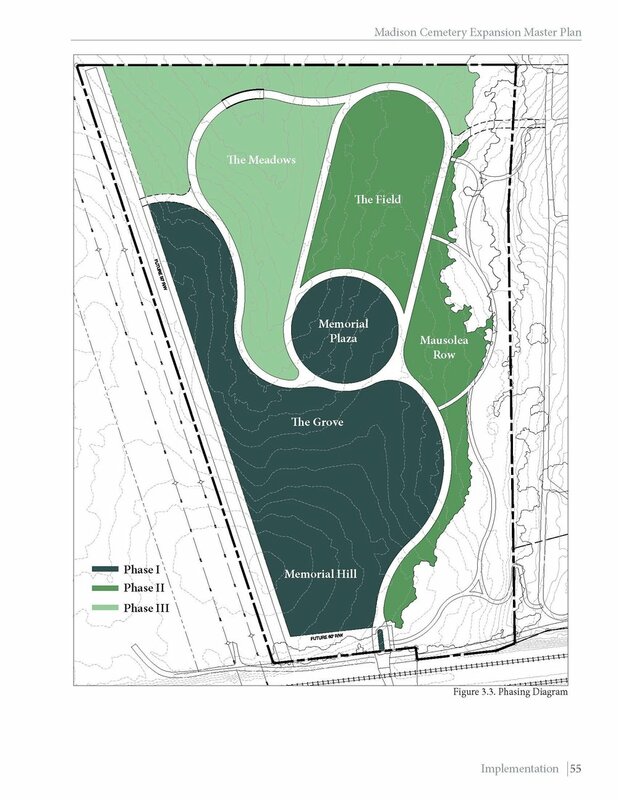 In addition to establishing the parameters necessary to meet future interment needs, the expansion also provides for proper land stewardship and advances greenspace connectivity within the city. The expanded cemetery will contribute to ongoing land stewardship efforts by the City of Madison. The property sets aside nearly 20 acres of greenspace as part of a conservation easement in close proximity to downtown. The property offers an opportunity to provide public greenspace, buffer riparian zones, and protect local watersheds. Guidelines under the conservation easement will dictate the dimensions and materials of trails and roads, and allotted land use; 30% maintained for tree canopy, 15% for stormwater management, and 55% allowed for burials. In planning the expanded cemetery, sight lines, circulation, and landscaping will respond to the historic layout and topography of the site, maintaining a sense of place and creating minimal disruption to the environment. The entry sequence is envisioned as a carefully choreographed procession through a magnificent canopy of oaks leading to a central focal feature. Six distinct character areas organize the cemetery, while offering unique treatment and burial types based on historic precedents and visual appropriateness consistent with the adjacent cemeteries.